MINISTER of National Development Planning Lucky Mulusa has implored investors to take advantage of the investment opportunities that Zambia offers. Speaking at the “Invest in Zambia” Forum event organised by the Zambia-South Africa Business Council(ZSBC) and the Zambian Embassy in Pretoria, held at Sandton Convention Centre, Mr Mulusa said investors should invest in Zambia while creating wealth and jobs for the Zambian people, as they will receive a favourable rate of return on their investment. The minister was speaking in Johannesburg, South Africa at the invest in Zambia business forum hosted by the Zambia-South Africa business council. He said Zambia is in hurry to industrialize, diversify the economy and is looking at increasing power to meet the growing demand. Mr Mulusa said the demand for energy; electricity in particular has been growing at an average rate of about three percent per annum. He said the growing demand of power is mainly due to the increased economic activity in the country especially in the agriculture, manufacturing and mining sectors which includes increased activity in the region. “Demand for the other forms of energy which include renewable energies has also seen significant growth in the recent years. Zambia has about 6,000 MW hydro power potential, out of which only about 2,393 MW has been developed,” Mr Mulusa said. He said to increase power generation capacity, a number of projects are being undertaken and the Government remains committed to creating an enabling business environment aimed at attracting foreign direct investment. 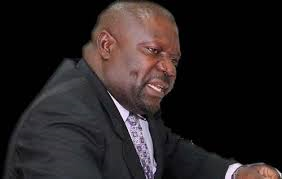 Mr Mulusa said the government is also stimulating local investments through linkages with Small and Medium Enterprises across all sectors of the economy. “What we are looking for are sustainable partnerships, and not relationships that leave our country worse off. We need the integration of small and medium enterprises as well as co-operatives into value chains of large corporates,” he said. Mr Mulusa said appealed to the Business Council to promote Government’s agenda of fostering inclusive business models that ensure integrating local communities in the supply chains and support the growth of local industries in all sectors of the economy. “We are strengthening our industrial development institutions by capitalizing them and putting in place clear governance policies and frameworks that will make them accountable for facilitating industrialisation,” Mr Mulusa said. He said investment opportunities in Zambia exists in various sectors including energy, agriculture and agro processing, mining, tourism, Information and Communication Technology, infrastructure development and the manufacturing sector, among others. He said It is Government’s expectation that the Zambia-South Africa Business Council will complement its efforts in promoting trade and investment between the two countries and ultimately provide the much needed employment for our people. Bwana minister, yes there might be investment opportunities in Zambia but the political environment is to volatile for any serious investor to bring their resources in such a country. There is no rule of law in Zambia. The president of the country and his minders do not respect or uphold the constitution. Mulusa. It is easier said than done. With racketeers in power and political cadres out of control I do not see any serious investor putting their monies in Zambia. Just in case I am pessimistic, I will say let wait and see if at all any gamblers will put their resources in Zambia. We could do better in terms of attracting investments if the culture of thuggery is addressed and polities that are investment friendly are adopted. funny that the minister talks about accountability when we all know that the Auditor General’s Report for this year and last year are all gathering dust due to ineptitude and the accepted impunity where public and private resources’ abuses are concerned. Lies after lies Mr. Mulusa.Zambia does not offer conducive environment by far.That is politicking as usual. Cost of doing business is too high and one wonders why you can’t see it when companies are closing every other day. No sensible investor will plough his hard earned dosh in a lawless land. Where court orders are ignored and where the government of the day has no consistent economic policies. Investors have choices.! There is Mangufuli next-door who has created a stable environment for business to florist. WWich investor would fail to NOTICE what the challenges he post newspaper is confronted with. Dream on minister. Just another NATO talk,No Action Talk Only. THINKING OF INVESTMENT IS A VERY BIG PIPE DREAM IN THIS COUNTRY. WHAT IS ON THE GROUND IS THAT MOST OF THESE INVESTORS ARE JUST WORKING OUT MECHANISMS JUST TO DEPART. IT IS JUST A MATTER OF TIME. IF ONLY WISHES WERE LIKE HORSES WE WOULD ALL BE THINK THE SAME WAY. THERE IS NO LIGHT AT THE END OF THE TUNNEL VERY CONTRARY TO KK.